Even if you aren't having any electrical issues, it's still a good idea to check your BCM wires. This affects all model year GTO's. Here's a writeup someone made on my local board. Alright so in the last two weeks I have seen three cases where the BCM fuse popped, the car just died, or things like windows/door locks randomly would not work and then work again. Looking on the big boards people have found it to be the BCM wiring harness that rubs against the metal support behind the glove box and many were saying it's only an 04 issue but it's every year. 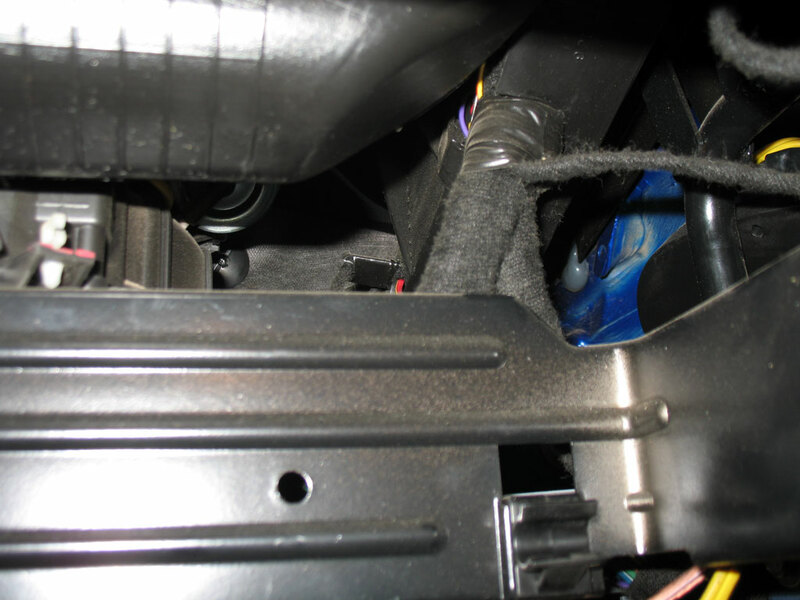 The first two that I heard of locally were 05-06 cars and I just checked mine and it was on it's way with a few of the wires being visible and damn near rubbed through already. Below are a few blurry pictures showing the harness and what I did to remedy it. If it hasn't happened to you I GUARANTEE IT WILL in the future so fix it now before you are buying a new BCM, etc. What I saw when I pulled the glove box. What I saw when I pushed the harness back. I electrical taped the harness up and cut a length of rubber hose to wrap over it, then zip tied it tight so it won't go anwhere. I also put a few strips of electrical tape over the sharp metal edges of the support bracket that was rubbing it. 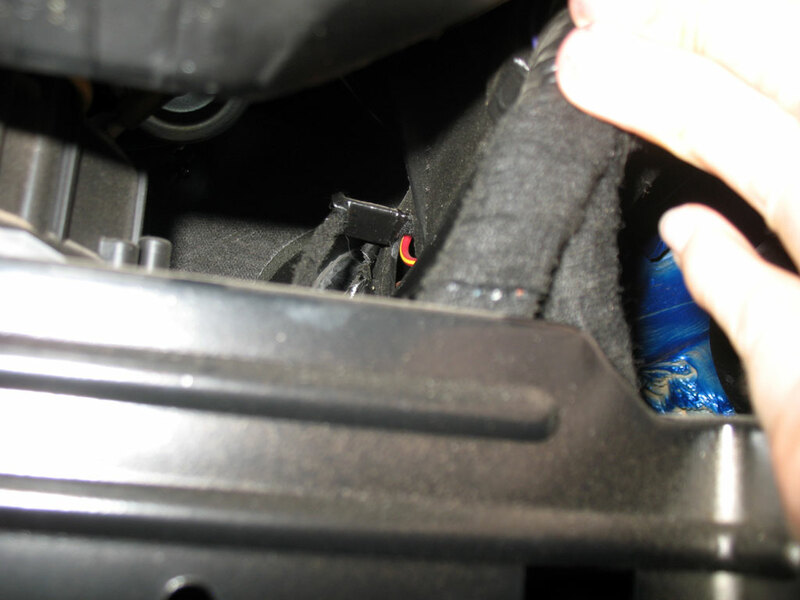 Any write-ups on how to remove the glove box assembly properly so I can get back there and do this before mine starts screwing up? Open it up, pinch the sides together where the catches are that prevent it from dropping any further (assuming they're still there... one of mine isn't ). Then it slides out to the right. Same going back in, in reverse. It's up and to the right side behind the glove box. I have the exact same problem. It started with my fan staying on after I shut the car off, and I started with the fan relay, which was shorted and replaced it, then the next morning after getting to work, my windows wont go down. No big deal.... I went to lunch and nothing was wrong, windows worked; coming back, all of a sudden my horn, windshield wipers, and hazards, all start going off at the same time, along wit hmy gauges going wacky. I pulled over and checked the BCM harness and can't see any chaffed conduit or wires. Could I be the unlucky guy with a BCM? Other than that I have no idea what could be causing this. Any help is appreciated. Thank you, checking mine as soon as the temp outside goes above 0. 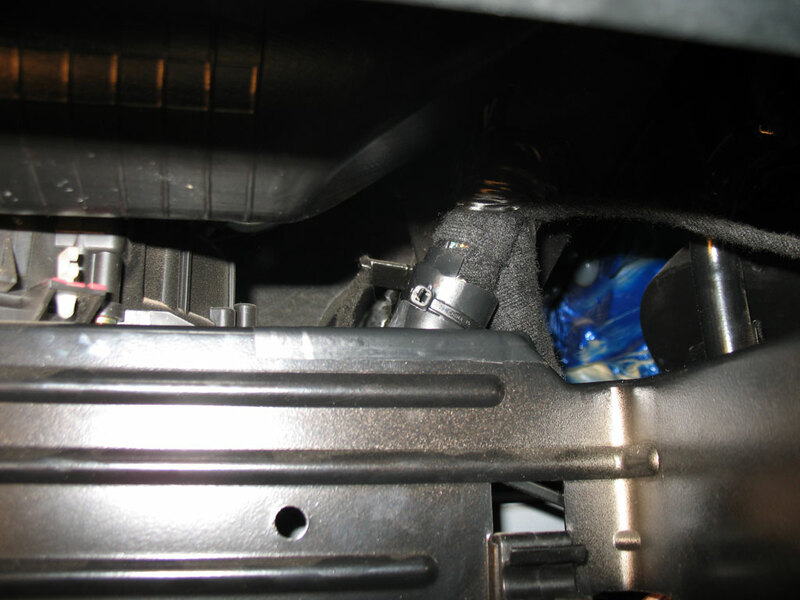 The 04's also have wiring issues under the airbag in the steering wheel that cause the gauges to act funny. Mine hasn't done it for a couple of years now but the horn used to honk randomly... I used to wave at whoever was looking when it would happen, lol. Very useful, thanks! I will go out and check this weekend! Thanks I just picked up a '04 GTO for the wife today. I will check this out. Thank you for the write up. I checked the wife's 2004 and all is well. I can get my fingers between the sharp metal bracket and harness. The harness and bracket never touched on this one. I did however break the plastic hinge on the right side. The GM part number is on the side of the hinge making it easy to find. The GM number is 92095790.